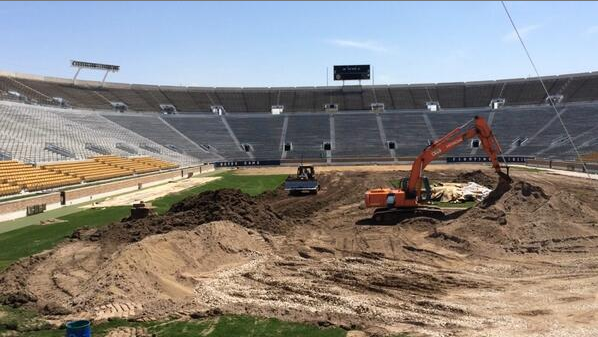 The obvious joke here is that the turf at Notre Dame Stadium doesn’t look any worse than it normally does. But I’m not going to make that joke, even though I guess I kind of just did. This entry was posted in Notre Dame Fighting Irish, Photo Of The Day by Tom Fornelli. Bookmark the permalink.